Clean Eating vs Keto Diet: What Are The Differences? This is the second article in a series comparing “clean eating” with other diet philosophies. Last week, I compared clean eating with the paleo diet. Today, I’ll be continuing the series with clean eating vs keto. You can use the list above to navigate to other articles in this series. As with the last article, this series isn’t intended to sell anyone on the 90/10 system over that of the ketogenic diet, paleo diet or any other diet philosophy. I’ll mostly write generally about clean eating and not specifically about our unique brand of it. I am certainly the biggest fan of clean eating and that’s why I recommend it, but the intent of this writing is to simply give a side-by-side comparison of clean eating vs. keto so that you can understand the differences. I’ll also talk about some of the more common variations of keto that you may see out there. If you’ve read any of the other articles in this series, you can skip this part since I define it each time. I thought about just referring to the first article in the series, but I know many readers come straight from a search engine and wouldn’t want to click to another article to get information they need for the rest of this article. The main focus of clean eating is on ingredients rather than “macros” such as carbohydrates, fats, proteins, and calories. The goal is basically to eat real, whole foods. That’s it. Clean eating tends to push you toward shopping around the perimeter of the grocery store where you find foods with only one ingredient like “apple” and “chicken”. If you purchase packaged foods with an ingredients label, you read the ingredients and watch for anything that isn’t something you recognize as actual food. In most cases, foods such as grains and dairy are not completely cut out of clean eating programs. Also, macronutrients and calories are not usually limited (at least not as a major focus). So, you won’t usually see a clean eating program recommending cutting out carbs or fats or something of that nature. Next in this comparison of clean eating vs keto, let’s run through a general definition and overview of the keto diet. The keto diet is essentially built on a macronutrient concept rather than an ingredient concept. It is a high-fat, moderate-protein, low-carb diet. You may also see the keto diet referred to as a “LCHF diet”, which stands for “low carb, high fat”. The focus is mostly on reducing carbohydrate intake. The purpose of limiting carbohydrates is to make your body switch from using glucose (sugar) as its primary fuel source to using fat and “ketones”. When you eat carbohydrates, your digestive system breaks those carbs down eventually into glucose (the simplest form of sugar) for use as fuel. A hormone called insulin escorts the glucose into your cells where it is converted to energy. If you don’t need more energy but you have more glucose, the insulin will help store the glucose in the muscles and liver as glycogen which it can easily convert back to glucose later. If you don’t give your body new sources of glucose from food, it eventually uses up glycogen stores and starts relying more on fat stores for energy. Fat can’t be used exclusively to fuel the body (especially in your brain). So, the liver begins creating an alternative fuel source through a process called ketosis. Ketones are created from fatty acids and used as fuel in place of glucose, although some glucose is still needed. This process of ketosis is a normal process that your body goes through even if you aren’t on a keto diet, but only during times of fasting for most people. For example, when you sleep for more than a few hours, your body will often go into ketosis (depending on when, how much, and what you ate last). The foundation of the ketogenic diet is simply to keep your body in a state of ketosis as much as possible. This is simply done by reducing carbohydrate intake so that the body has very little glucose available from food digestion. In the last article (clean eating vs. the paleo diet), I included a chart comparing the different foods that are typically included or excluded on the two diets. For this comparison of clean eating vs keto, it doesn’t seem possible to include such a chart since keto, at its core, doesn’t restrict specific foods like dairy or grains. It only restricts or promotes macronutrients such as carbohydrates and fats. So, I think it is more helpful to just talk about the macronutrient ratios commonly associated with the keto diet. “Dirty” Keto: Because the foundation of the keto diet is macronutrient ratios and not ingredients, you may see people doing forms of the keto diet that have been dubbed “dirty keto”. This just means that they often will eat processed junk food as long as they meet their macro ratios. The acronym “IIFYM” is often used and stands for “if it fits your macros”. Not all people using IIFYM are following keto, but you may see those things used together. I’ve often seen things promoting how to eat “keto fast food” like fast food bacon burgers without the bun. Although many people that promote keto as a way of life would not subscribe to this, the diet philosophy at its core doesn’t address this. “Clean” Keto: I believe a majority of the people that are promoting the keto diet as a lifestyle are also promoting a “clean” version of it. In other words, in addition to focusing on reducing carbohydrates per the ratios above, you also do not eat processed foods. Essentially, you eat a clean eating diet, but you severely limit or eliminate foods with any significant amount of carbohydrates. Starchy vegetables, grains, and any other carb-heavy foods are not eaten, and healthy sources of proteins and fats are used. In my experience, many that are doing this form of keto came from other programs like paleo or clean eating and have simply added the focus on ketosis by limited carbs. Clean eating programs tend to promote organic foods over conventional, grass-fed and pasture-raised meats over feedlot-raised meats, and local and sustainable sourcing. However, it is not always a requirement in clean eating programs. 90/10 Nutrition is an excellent example of this. It isn’t a requirement of our tier system. It is, however, recommended and promoted through our Facebook group and our blog. 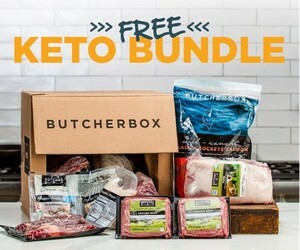 As noted in the variations section above, the keto diet may include references to ingredients and sourcing, but it’s not required by the core diet philosophy. You will often see a focus on organic and healthy food sourcing from those that promote the keto diet as a healthy lifestyle. Clean eating focuses on ingredients and eating food in a natural state (or as close as possible). It does not typically restrict macronutrient ratios or entire food groups. The ketogenic diet is focused on getting your body into a state of ketosis by reducing carbohydrate intake. While there may be an emphasis on ingredients and sourcing of food in some keto programs, it is not the core of the diet. It is possible to do both a keto and clean eating by eating whole foods an reducing carbohydrate intake. I’ve written an entire article about why I don’t promote the keto diet as a lifestyle (as well as a purely plant-based diet) right here.